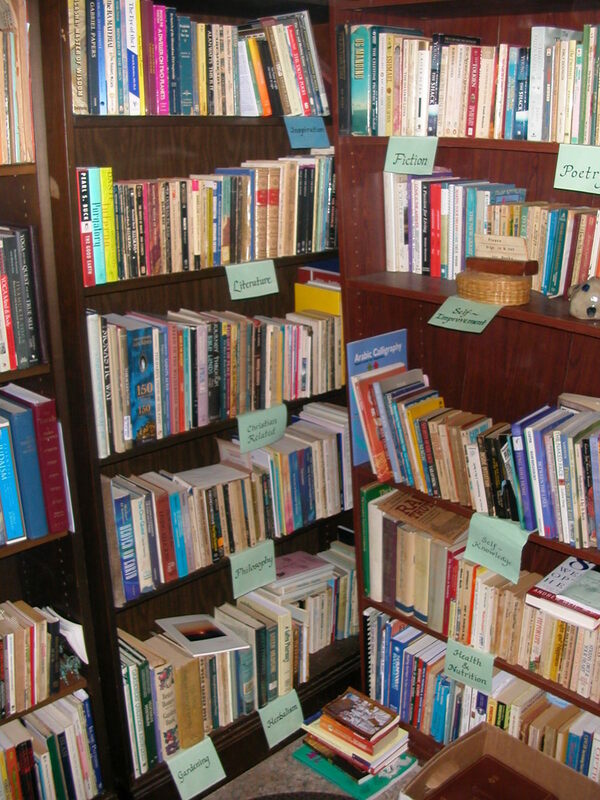 The small library in the entrance of Rishikesh house (#4217) is open for ashram residents, guests, and students to borrow books. There is a wealth of literature old and new, collected and donated over the years in categories from philosophy to health, yoga and literature and more including many hard to find books on various religions. 1) Please use the Sign-Out book to check out or return a book to write the title, your name and contact information, and the date it was checked out. 2) When returning a book, please place in the "Book Return" (labeled container on the floor of library) and write the date you returned it in the Sign-Out book. 3) Please return any book within 3 weeks of checking it out, as with any other library. If you are still actively reading it after this time, or are unable to come to return it within this time, please email Saraswati to request a renewal. 4) If you would like help remembering when you checked out a book and when it is due back, sticky notes are provided to place inside the book. Thank you for your cooperation and hope you enjoy the library. In the spirit of community, cooperation and accountability to others ensures all will have the opportunity to read any books that interest them.